Khashoggi has long been feared killed after he entered the Saudi Consulate building in Istanbul on Oct. 2 and was never seen exiting. 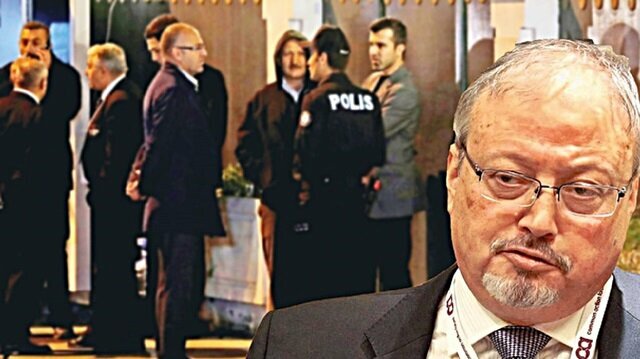 Yeni Şafak daily has obtained information indicating that there are numerous voice recordings from inside the Saudi consulate located in Turkey’s Istanbul where missing journalist Jamal Khashoggi entered on Oct. 2 and never reemerged. Sources indicate that Khashoggi was tortured before he was killed. His fingers were allegedly cut off during the interrogation process before he was decapitated. He moved to Washington last year fearing retribution for his criticism of Prince Mohammed, who has cracked down on dissent with arrests. On same day Khashoggi went missing, 15 other Saudis, including several officials, arrived in Istanbul on two planes and visited the consulate while Khashoggi was still inside, Turkish police sources said. All of the identified individuals, including a forensic expert, have since left Turkey. “It took seven minutes for Jamal Khashoggi to die, a Turkish source who has listened in full to an audio recording of the Saudi journalist's last moments,” told the Middle East Eye. Since Khashoggi’s disappearance, many global media outlets have claimed that recordings of his death inside the consulate exist. Police found “certain evidence” of Khashoggi’s slaying at the consulate, a high-level Turkish official told the Associated Press on Tuesday.